﻿Tues: 26 mi; 3700' vertical; Mesa Trail, Doudy Draw, Flatirons Vista. I had intentions of running further, but I dragged my feet due to the cold temps (15 deg) in the morning. I let the sun come out and warm the earth a bit before I stepped out. The hardest part of my day is going from the warm bed to the cold car to the freezing trail head...to the first 2 miles of bitter cold jogging. But then...I'm good. And it's always worth it. I took some pics throughout my session....there is always something to photograph on these trails. that modern society is vastly unaware of earth's boundless energy. Mesa Trail is an incredible trail...it's only about 6 miles long, but if you go both directions...you're looking at 3,200' vertical. It is more technical than any ultra I have ever run..so it is perfect for training. A personal test I use to gauge my fitness is whether I'm able to run Mesa completely..that is, not hiking any of the steep climbs. If I'm able to run the trail completely, and with some speed, I know I'm in good conditioning. 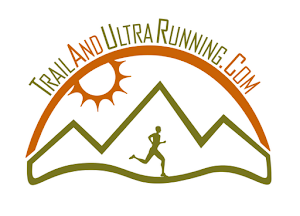 Right now, I'm very happy to be running the trail 100% and even on 20-30 milers, still doing that. It's always great to have these local fitness tests that help you keep track of your training. Wed: 5 mi; Dry Creek Trail. 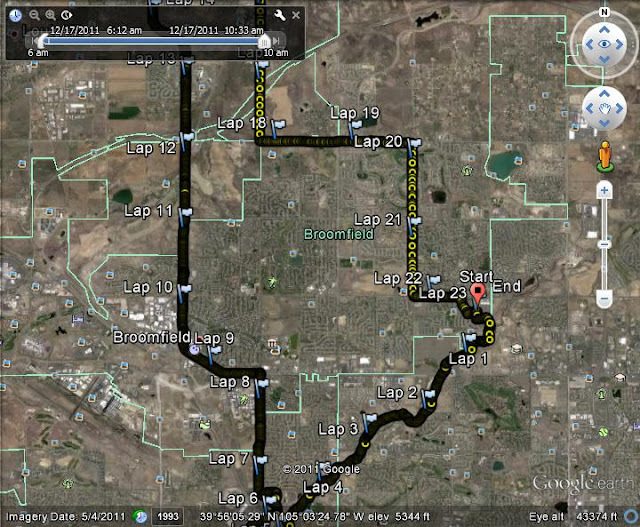 This 5 mile route is an out n back from my front door. I ran 7:20/mi pace at HR in high 140s. This is comfortable zone 2 heart rate for me, so I'll have to start running sub 7 in order to train zone 3. Pretty happy with that right now, considering the weather conditions. ﻿﻿﻿﻿ Thurs: 5 mi; Dry Creek Tempo Run; One day per week...thankfully, just one day. Started w/HR 160 and tried to increase it by 5 every mile for 3-4 miles. I'm trying to improve my efficiency in the 160-175 range. I had a lactate threshold test done earlier in the year, which revealed my lack of training in zone 3. Trying to correct it. I'm comfortable in the 7:00/mi, but I'm hoping to be yawning at 6:20/mi very soon. Fri: Rest Day; Slammed at work. Physics all over the place. 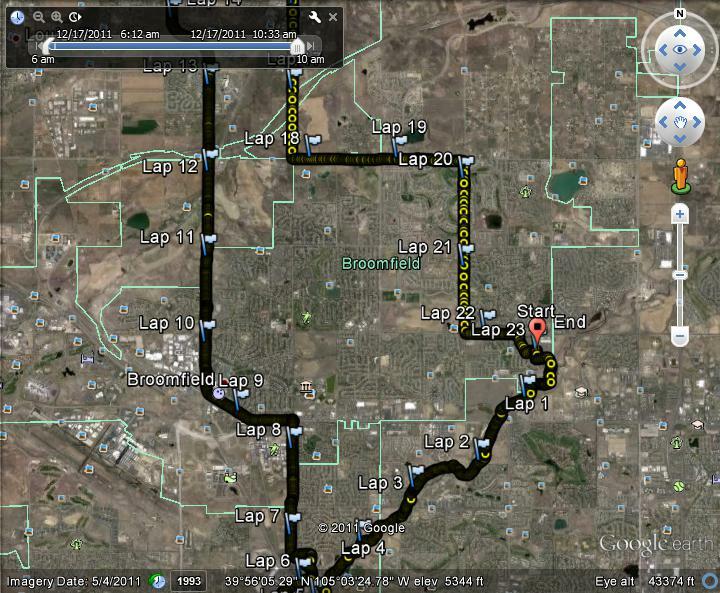 Sat: 23 mi; 800' vert; Urban Loop from Broomfield to Westminster to Lafayette and back. 15 degrees with 90% humidity = Sucky cold! Ran with Val, who is seeking to succesfully finish the Leadville 100 this next year. I fell twice in areas with absolutely no obstacles. We took some funny pics when we came across these bronze horses. People thought we were nuts, which is still yet undetermined. We incorporated a Starbucks stop at about mile 13...and those are all reasons to say it was an awesome day. section of bricks, mind you. AM: Easy 10k on Dry Creek (6.2 mi) The weather was awesome and I had to squeeze in a run before my wife left for work. Why do weekend runners not wave back? Saw a guy wearing a fuelbelt....lol. 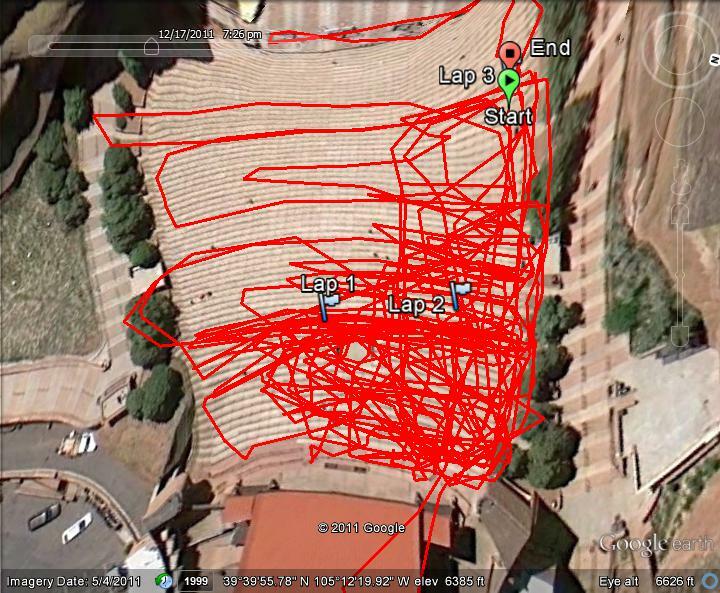 PM: 4 mi; Plyometric Freestyle at Red Rocks Ampitheatre; 69 rows of seats embedded in solid red rock provide an ample playground for endurance plyometrics. Since my son, Jalen, and I spend most of Saturday and Sunday together...I have to come up with interesting ways to train. So, at the ampitheatre, Jalen was able to play with other kids and also run the seats with me. I kept an eye on him in between sprints up and down....and diagonal leaps of the 69 rows. I was running at 85%-90% heart rate for the 40 minutes I was there. It was intense, to say the least. Jalen cried an absolute fit when we left because he loved it so much. Love the GPS picture of Red Rocks! Reminds me that I really need to go train there..